Also, include logos & emblems competitions. 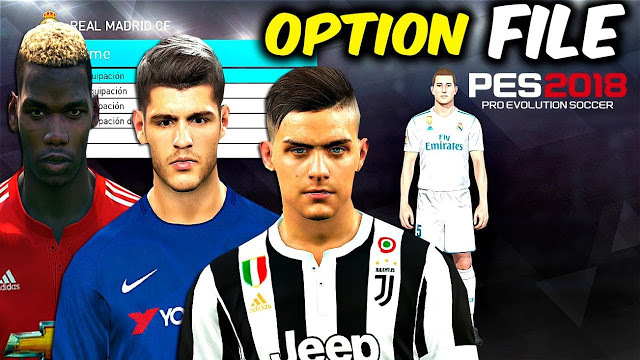 It´s totally compatible with PES2018 Pc & Ps4. Thanks to RVGRAPHA7 for the compilation. If you have any option file installed previously, you have to delete it first. ➧Back to menu, check if all ok.